Makeup Brush Set - 8 Pc Only $3.67 Plus FREE Shipping! You are here: Home / Great Deals / Amazon Deals / Makeup Brush Set – 8 Pc Only $3.67 Plus FREE Shipping! 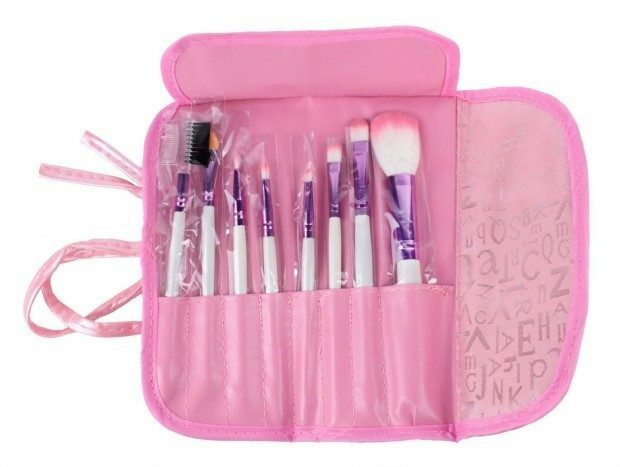 Makeup Brush Set – 8 Pc Only $3.67 Plus FREE Shipping! Head to Amazon and get the Makeup Brush Set – 8 Pc for Only $3.67 Plus FREE Shipping! Includes pink rollup carrier. Highly rated at 4.0 stars and over 1,500 reviews!